Add the Brussels sprouts and spinach leaves to a bowl. 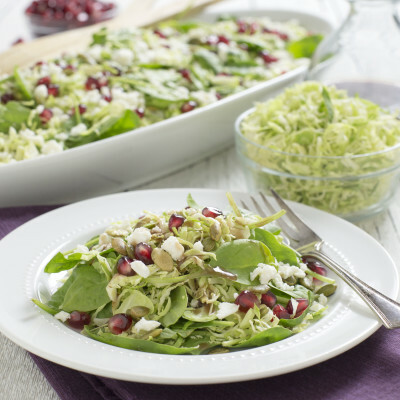 Top the salad with pomegranate arils, a sprinkling of feta, and a drizzle of vinaigrette. mixture while slowly drizzling in the olive oil.